As ending child labour amongst 152 million children is a big task, we realise that we cannot do this alone. We therefore work with all those who share our passion to help children enjoy their childhood. In this endeavour, we build strategic partnerships in order to bring together a range of stakeholders, such as child rights organisations, trade unions, teachers’ associations, institutions, UN agencies, governments, Parliamentarians, businesses and individuals; for optimising outcomes and maximising reach to advocate towards ending child labour by 2025. 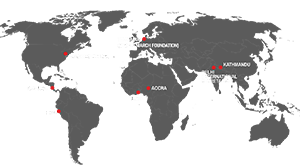 We receive and coordinate generous institutional support on policies, programmes and partnerships and today, Global March is a global network of civil society organisations and trade unions across 140 countries. We have had a long standing partnership with International Labour Organisation (ILO), particularly its International Programme on the Elimination of Child Labour (IPEC), and other UN agencies, international NGOs and other organisations working towards children’s rights.